Daimalu Basumatary of Majbat in Udalguri District has completed training in Wireman Control Panel Course under the SADVABNA the army Project in 2016-17. After completing the certified course he was employed at Western Refrigerator at Gujrat. 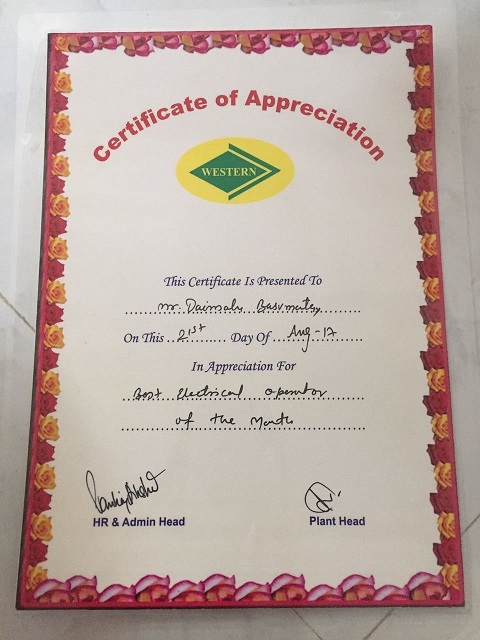 After working for a very short span when Daimalu was awarded the Best Electrical Operator of the Month in August 2017, he not only earned accolades for himself but also made APPITI, Rowta his training institute proud of his achievements.